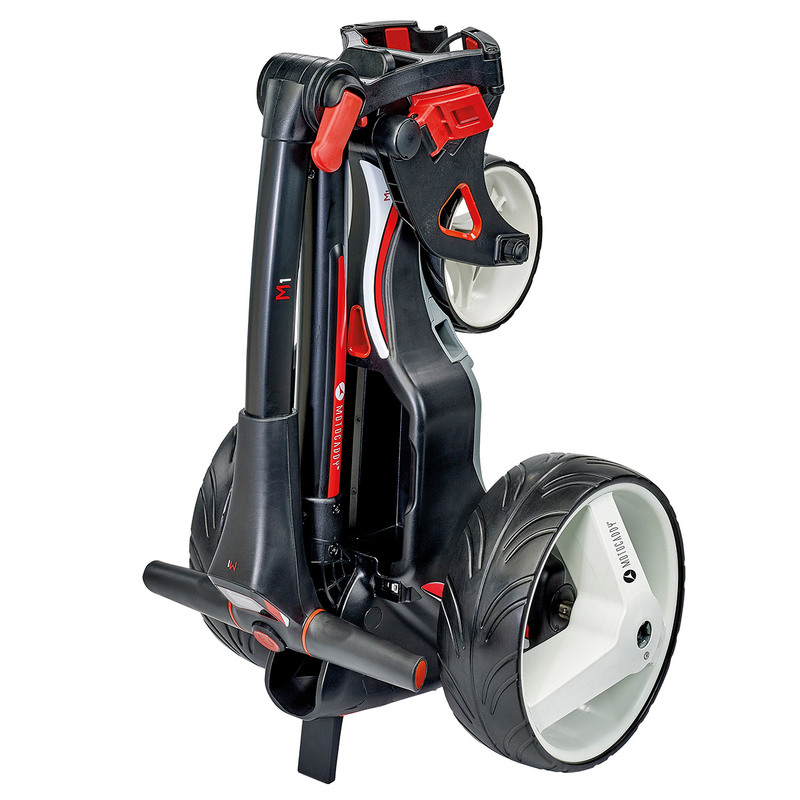 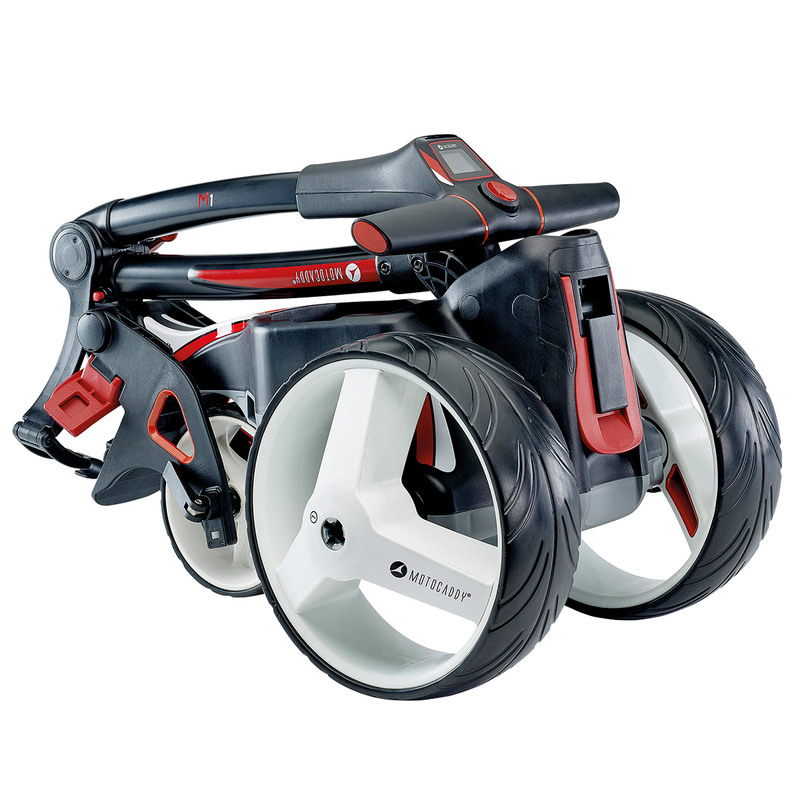 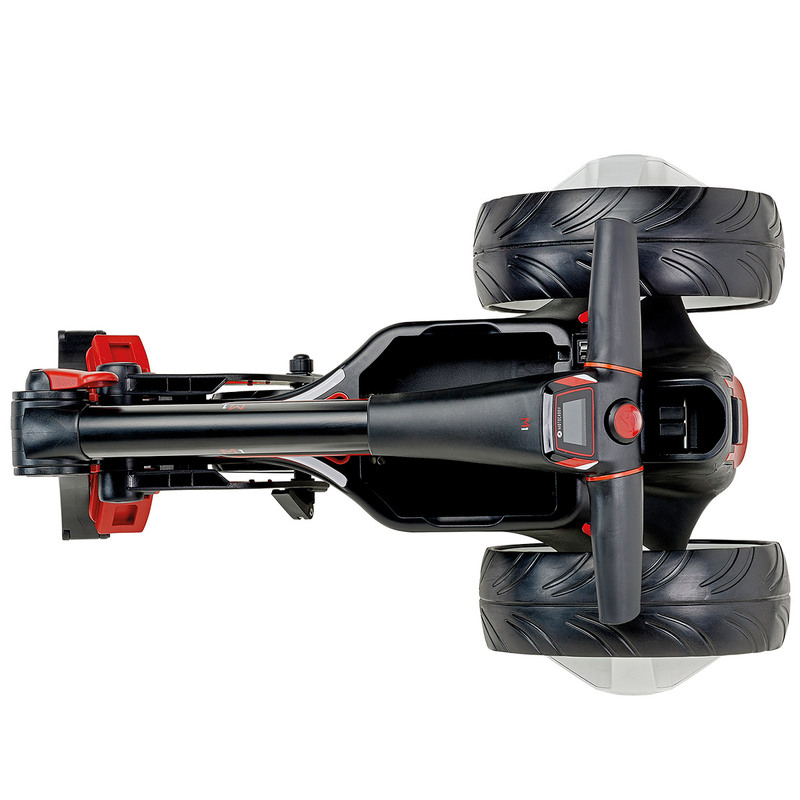 The 2018 Motocaddy M1 trolley features a simple to use sporty design, with SlimFold compact frame, and space-saving inverting wheels that offers a 11% smaller fold, to fit into the smallest of spaces during transportation. 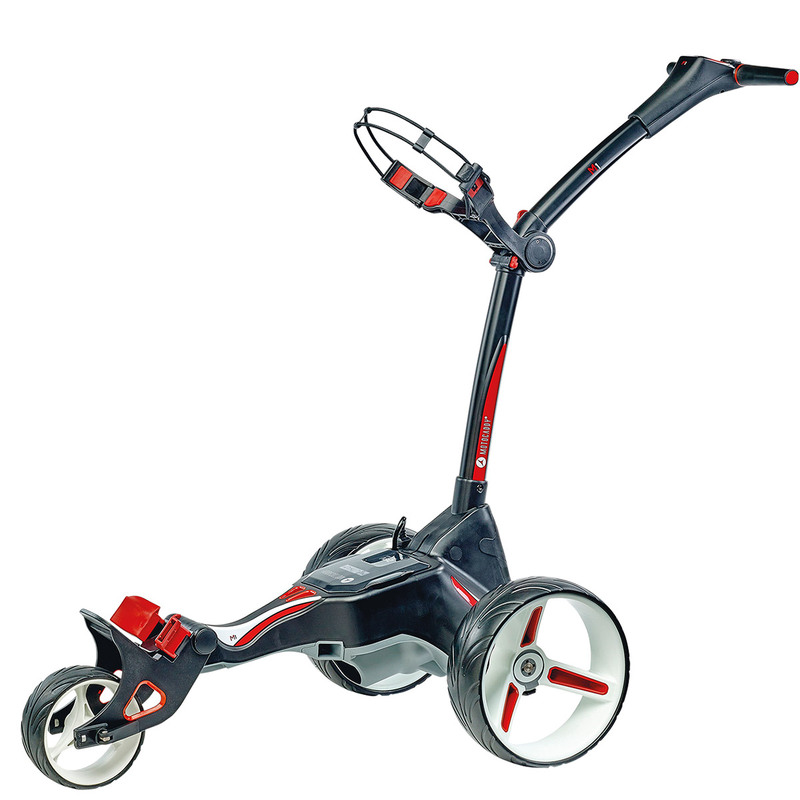 The M1 trolley boasts a high performance Lithium battery which works brilliantly to conserve energy, for long lasting durability. 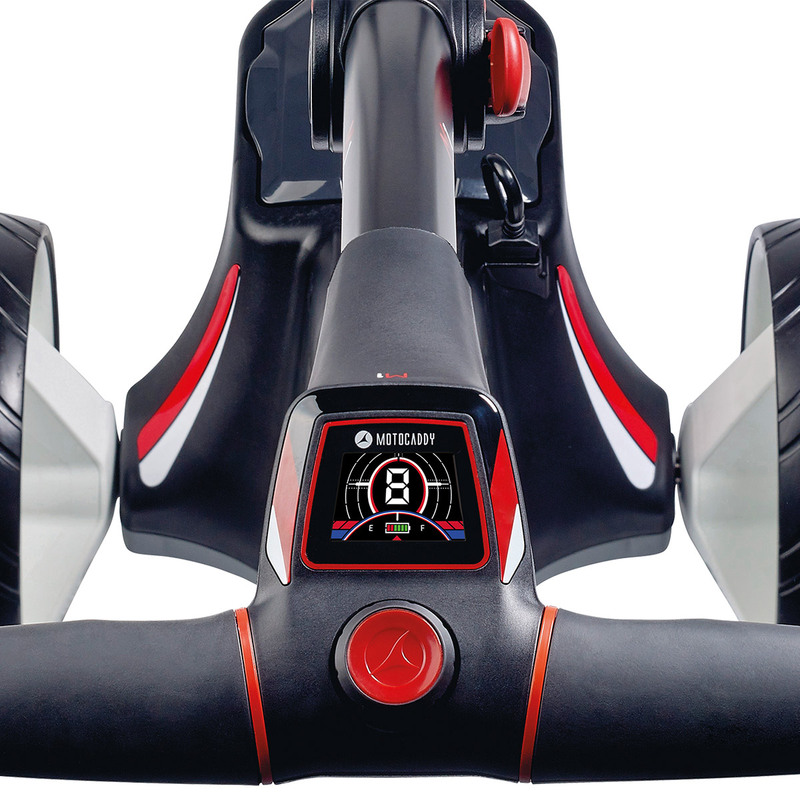 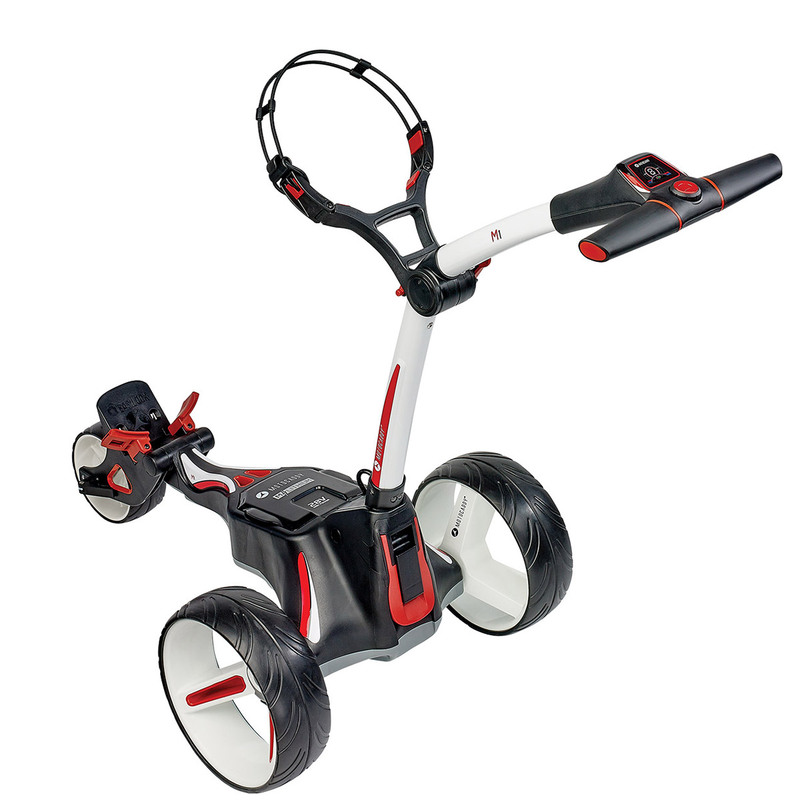 Plus features a powerful whisper quiet 230w motor to ensure you have more staying power and a next generation, high power 28V system to complete your round of golf. 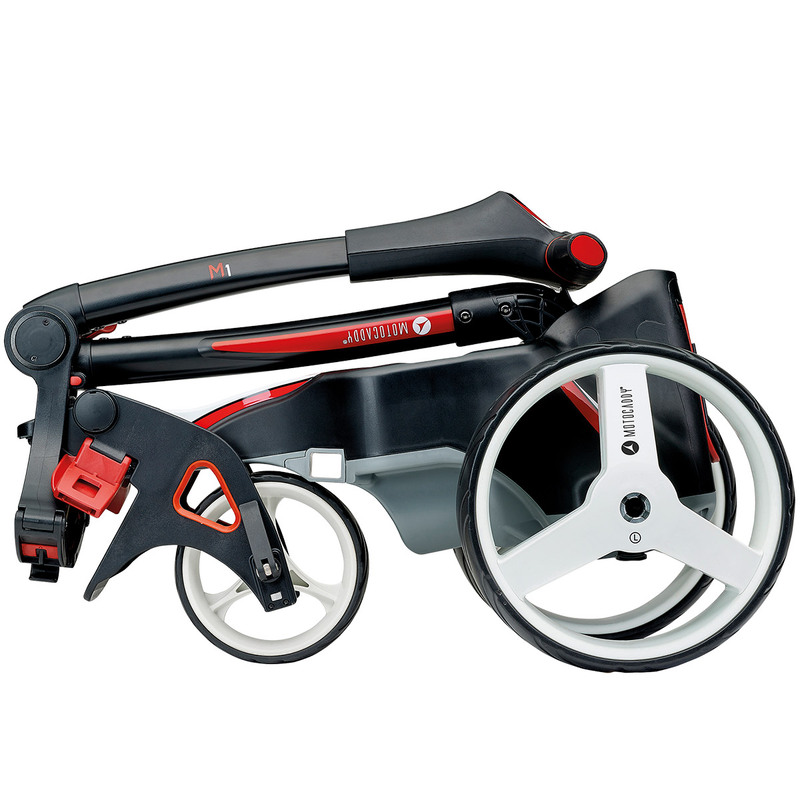 For added convenience the trolley features onboard charging, so there is no need to remove your battery, and has a auto-open stand. 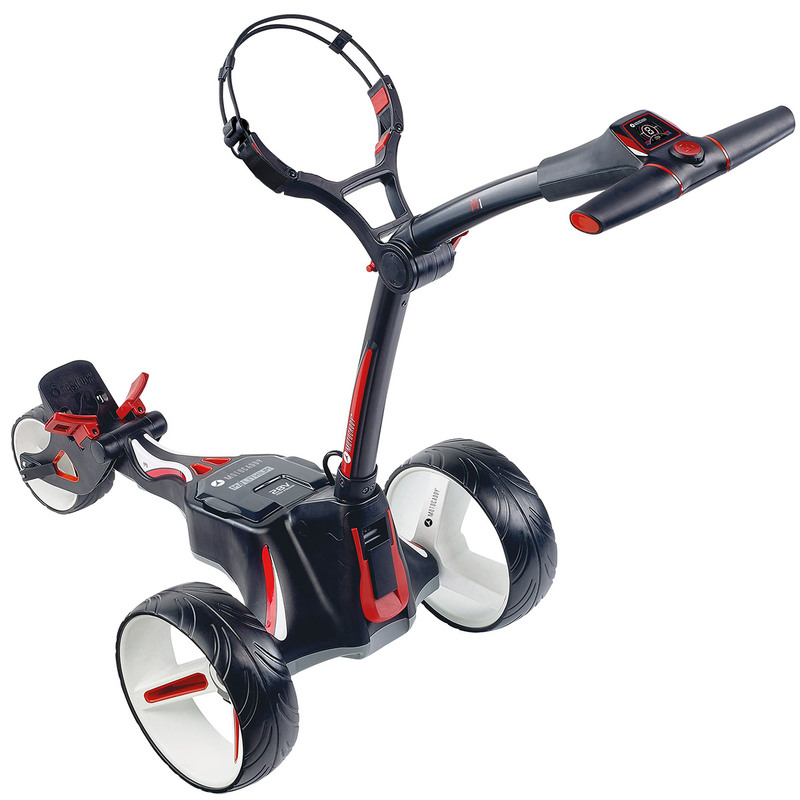 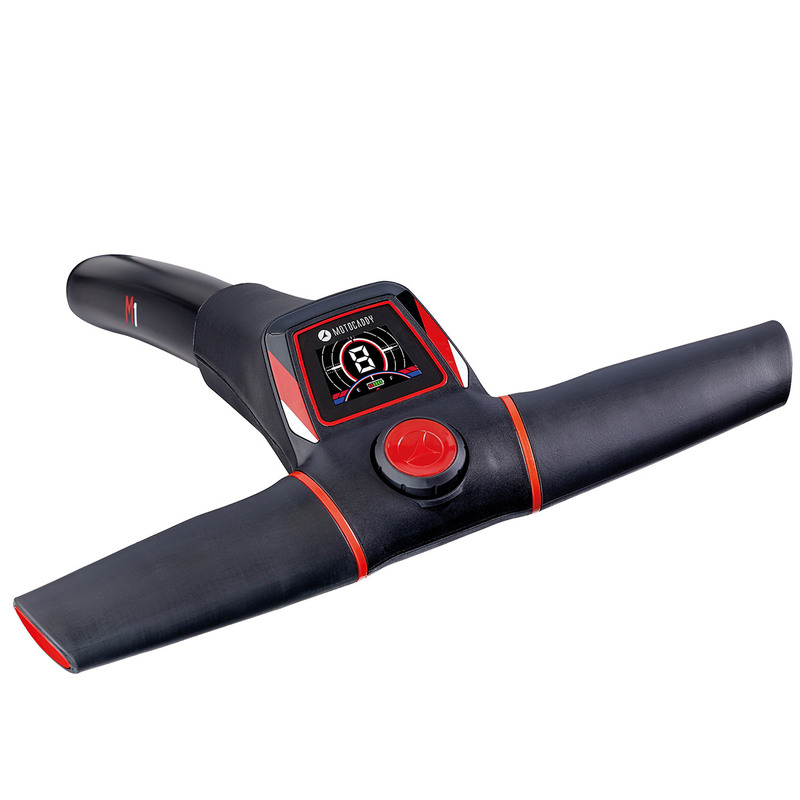 This trolley features an easy to read full colour LCD screen, with speed indicator and battery meter, plus has nine speed settings, adjustable distance control, and a height adjustable handle, with soft touch grip for easy handling.